NAIROBI, Kenya (JTA) — When they first arrived in northern Kenya in 2011 at the height of a massive drought, the Israeli refugee aid organization IsraAid planned to offer food and other core necessities to the 100,000 residents of the Kakuma refugee camp. When the drought subsided a year later, IsraAid’s directors saw that this sort of assistance was becoming less crucial. Much larger organizations were providing food, clothing and medicine. But rather than leave, IsraAid shifted its focus from short-term aid to long-term support through something Israelis do best: post-trauma counseling. Decades of terror attacks have equipped Israeli experts to serve the camp’s residents, many of whom are survivors of hunger, torture or the violent death of relatives. IsraAid has trained 18 camp residents to be social workers; most of them are now helping other camp residents cope with their pain. IsraAid is one of several Israeli NGOs working to improve the lives of Kenyans by importing Israeli technology and expertise. Their work is enabled by a history of friendly ties between Israel and Kenya and the relative stability of Kenya’s government and economy. Nairobi, a booming city where new malls and roads intersect with destitute slums and gated communities, has emerged as a center of humanitarian work in East Africa. International organizations from the United Nations to Oxfam have located their regional headquarters there. Even after the terrorist attack on the city’s upscale Westgate mall in September, international aid workers continue to operate in Kenya with little fear. Kenya has been a friendly destination for Israelis since it gained independence in 1963. Israeli businesses helped build the country’s infrastructure and boost its agriculture sector, and the two countries coordinate on security issues. Exchange between the two countries has been robust, with Israeli military personnel advising Kenya in the wake of the Westgate attack and Kenyans routinely traveling to Israel for professional training programs. Israeli experts come to Kenya to lead seminars on everything from agricultural technology to Krav Maga, the martial art developed in Israel. Such close relations have led to a booming industry in Israeli humanitarian assistance. 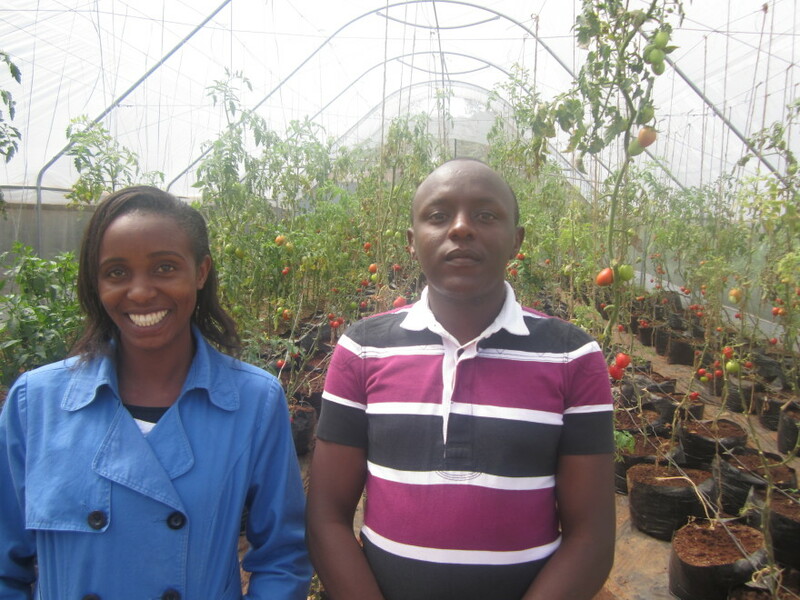 Israel for Africa provides impoverished young Kenyans with farming kits that include the equipment necessary to raise a small plot of crops, from Israeli-made greenhouses to Israeli-designed drip irrigation systems. Members of one of the youth associations with which Israel for Africa partners, a dance group called Ramsa Africa, begin work at 6 a.m. on rows of tomatoes, peppers, spinach and kale, watering the crops with drip-irrigation hoses and checking each plant for signs of disease. After lunch they have dance rehearsals. A similar mission drives Brit Olam, an Israeli nonprofit running an agriculture development program in the semi-arid northwest region of Turkana. Droughts have made reliance on grazing cattle impossible, so Brit Olam imported Israeli technology for desert farming to give local residents economic independence. The Israeli nonprofit Save A Child’s Heart, which was founded in 2008 and is active in 44 countries, brings underprivileged Kenyan children in need of heart surgery to Israel. Its Kenya branch went on hiatus from 2009 until this year, when founding director Rina Attias returned to the the helm. According to Attias, the waiting list has 250 children. Attias, who survived the Westgate attack by hiding in a closet, said that experiencing terror in Kenya only made her more dedicated to saving lives there.